The number of changing variables, different elements, and work phases on construction sites is often huge. Efficient operations require excellent scheduling and systematic planning, as work is carried out at different sites, by various teams, using different materials, and often also exposed to the weather conditions. Work quality must also be constantly supervised and occupational work and safety aspects observed. All in all, this is quite a balancing act. 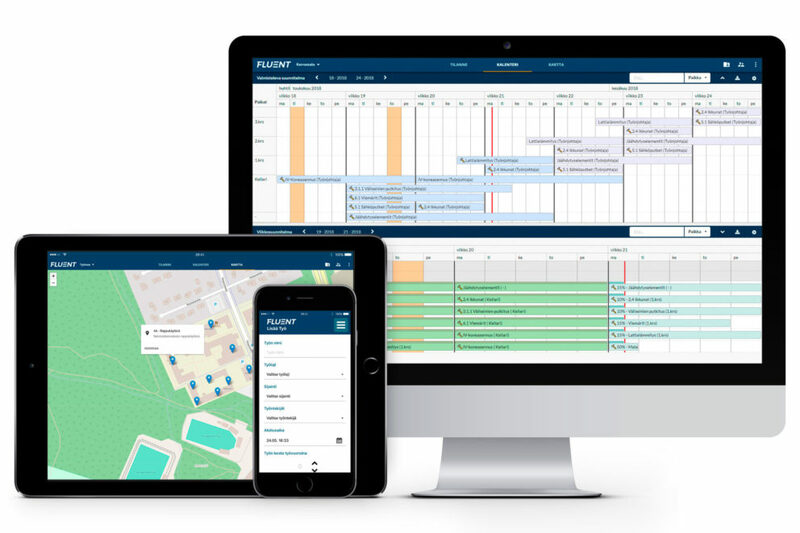 The Fluent Construction system makes the everyday life at construction sites easier through resource optimisation and control, and by saving valuable working time for both the management and the staff. The system makes it easy for supervisors to manage construction projects and supervise the various safety, quality, and progress of work phases at the construction site. The product family digitalises and optimises the implementation phase of construction using data obtained through modelling and schedule planning. This minimises idle time at the worksite. More efficient working and better quality control ensure that the benefits of the system extend all the way to the final users. Who would not want to live in an environment where structures are built with close attention to detail?